I had a couple of hours to kill between meetings with customers in London yesterday so enjoyed a walk down Oxford Street. I took several photographs of various shop windows and displays that caught my attention and I’ll be sharing these with you over the next few days. It was quite a sunny warm day for November. 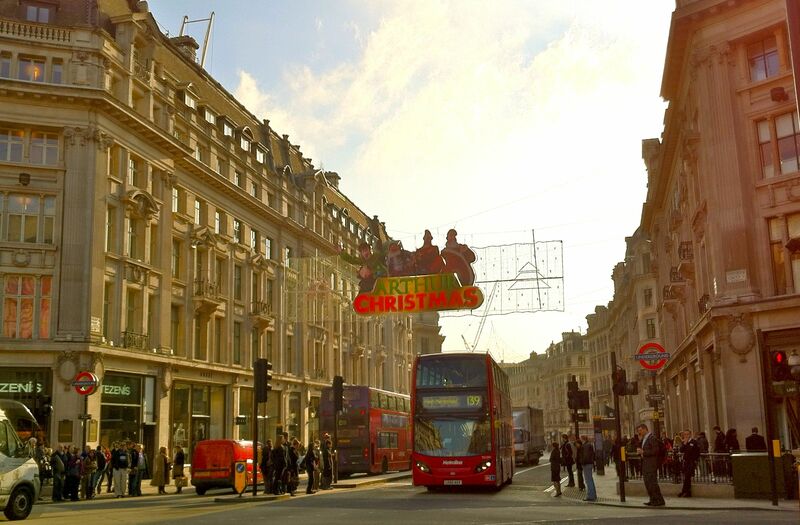 Nice to see the Arthur Christmas lights hanging above Oxford Circus. Oxford Street itself is undergoing a lot of building work at the moment basically the whole length from Tottenham Court Road and the Centre Point building down to Marble Arch. I can see it being really packed as it starts to get busy over the next few weeks. 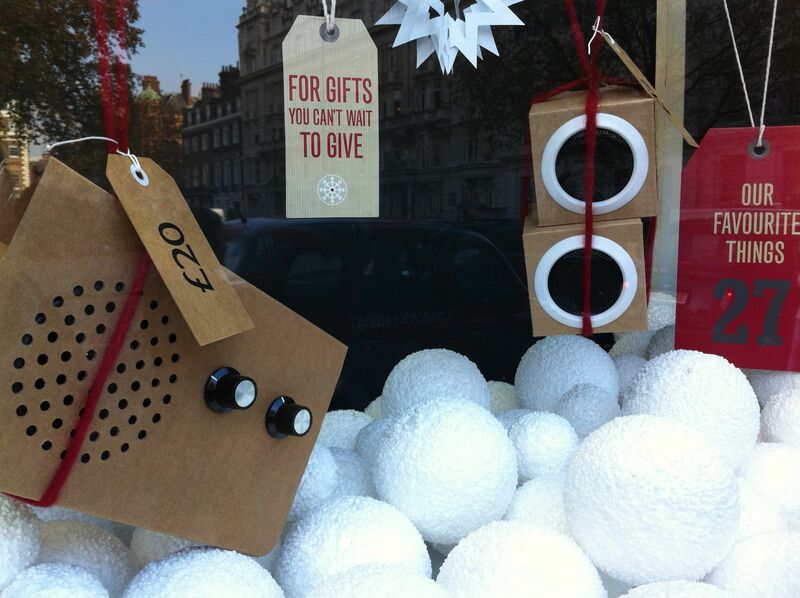 These cardboard radio and speakers in John Lewis caught my attention. The Radio is £20 and the speakers are £12. In addition to being a radio you can also plug in your iPod / iPhone and use them as a speakers. It’s an ideal novelty gift for the boy who has everything. My husband would certainly love one of these in his study. 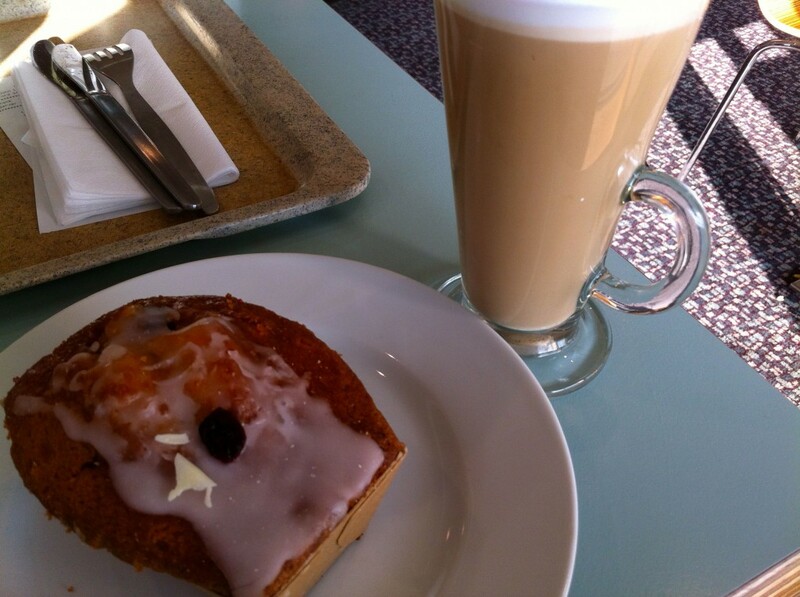 After walking the length of Oxford Street it was up to the top floor of John Lewis for some quick festive refreshments in the form of their Cranberry Loaf and a coffee. Lots more great gift ideas to follow over the next few days, in the meantime if you’ve spotted something great please let me know. John Lewis Christmas 2012 Annual is full of great gift ideas.